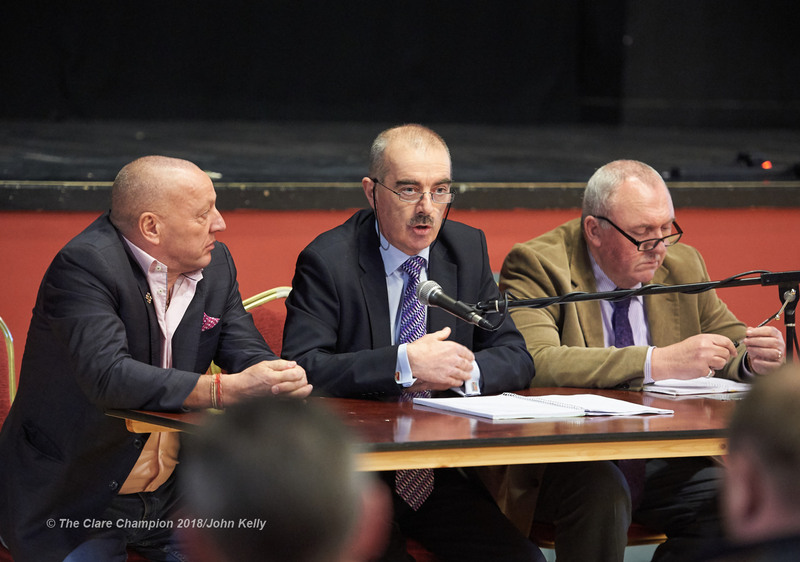 Marcus White, Eugene Banks and Tony Quilty at the top table during a public meeting, in the Pavilion, Lisdoonvarna, to discuss the opening of a direct provision centre at the King Thomond Hotel on March 5th. Photograph by John Kelly. A public meeting, addressing the opening of a Direct Provision centre in Lisdoonvarna on March 5, was attended by approximately 100 people at the Pavilion in the town on Friday morning. The meeting heard stringent criticism from many speakers who questioned whether Lisdoonvarna was equipped to cater for up to 115 asylum seekers, approximately 30 of whom are due to start living there on the first Monday of next month. While some speakers said that they would like to help the asylum seekers, many maintained that the town, which has a population of 300 people, does not have sufficient health, educational or social services to cater for the perspective new arrivals. 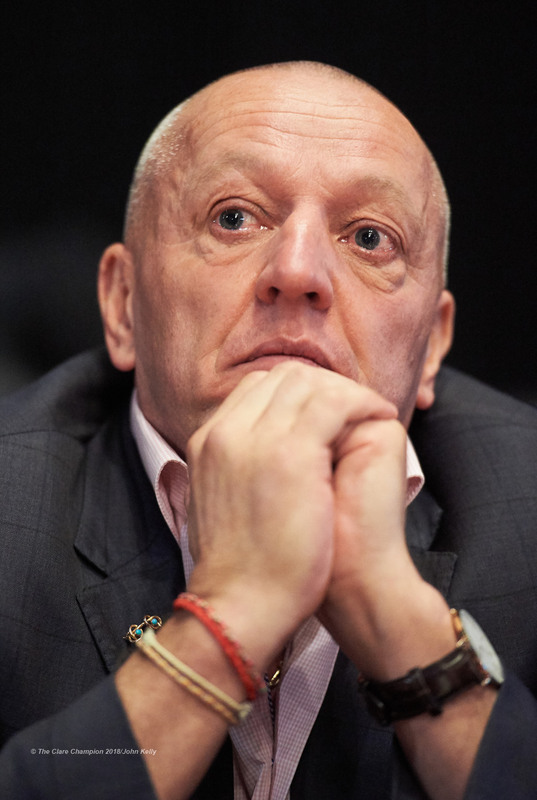 However, some doubt was cast on the future of the Direct Provision centre in the town when King Thomond Hotel proprietor, Marcus White, said that he had yet to formally sign the contract and that he would listen to the views of local people, before making a definite decision. 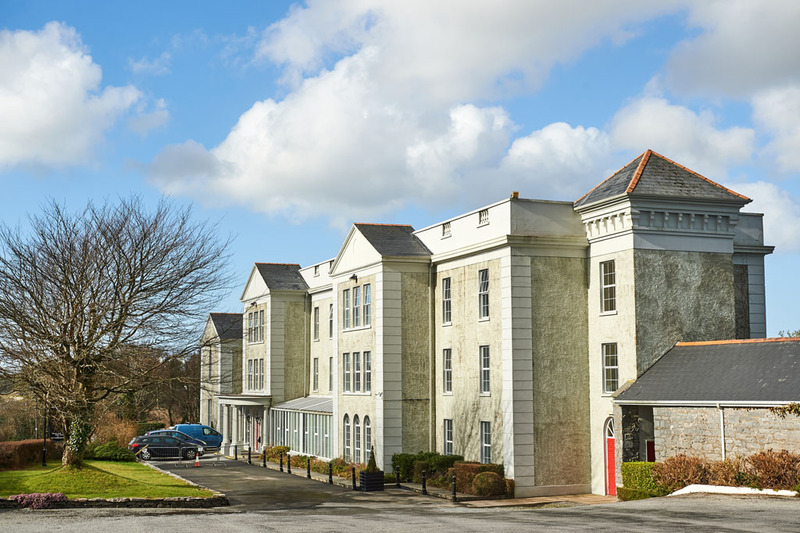 Eugene Banks, Principal Officer with the Reception and Integration Agency, told The Clare Champion after the meeting, that he expects the Direction Provision centre to open. “I wouldn’t accept there is no final decision. From my perspective we have concluded our discussions with the contractor. We hope and expect that we will have people in the accommodation centre on March 5 but as I said at the meeting we will meet here again on Wednesday evening (7pm at the Pavilion) with all the service providers in the area to reassure the people that those who are coming into Ireland, seeking international protection, will be afforded a North Clare welcome. We want to assure that the services and supports already here won’t be diminished but will be added to,” he said, noting that he expects Marcus White to sign the contract. “I don’t see the non signing of it as being a major issue. If it happens that for some reason, then we can’t do it but I don’t expect at all that to be the case. I hope I addressed as many of the questions as I possibly could today. This will be the 35th accommodation centre that we will have opened up across the country. The state agencies involved are well used to this business. The schools, educational and health services are able to step up to the mark and are able to deliver. I can absolutely understand the fears and apprehensions of the townspeople in relation to this but I can assure them all that we will deliver,” Mr Banks stated. He defended his departments communication of the news to the residents of Lisdoonvarna. Most local people heard the news on Wednesday of this week. “You have to understand where we’re coming from. On January 8 we published an advertisement in the papers seeking accommodation. We got upwards of 20 responses. We analysed them and we inspected the premises in question here. It’s suitable and it meets our needs. 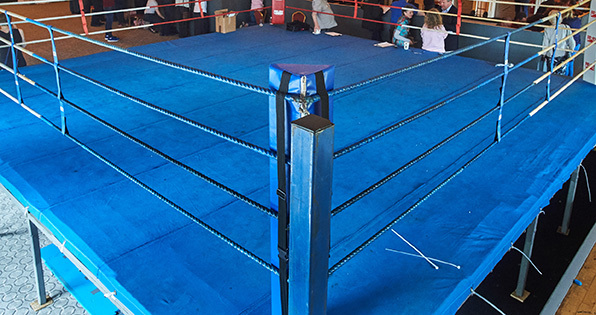 As soon as we concluded our contractual discussions, which was at the end of last week, we finished off the paperwork at the beginning of this week. Then we contacted all the TD’s, Senators and local councillors on Tuesday at lunch time. I don’t think we could have done it any faster. The bottom line is that we have to provide for the people who are seeking international protection,” Mr Banks asserted. He is certain that if and when the Direct Provision centre in Lisdoonvarna opens, local people will make the asylum seekers feel welcome. “That has been absolutely our experience. In other communities we have faced the exact same set of questions and the exact same issues, about the health and education services but very soon after arrival, these people get support and those barriers are broken down. We’re here for the long haul, we’re not just here for the grand opening,” he vowed. A comprehensive report, along with more photographs from Friday’s meeting, will be published in Thursday’s print edition of The Clare Champion. Marcus White, hotelier, at a public meeting, in the Pavilion, Lisdoonvarna, to discuss the opening of a direct provision centre at the King Thomond Hotel on March 5th. Photograph by John Kelly. 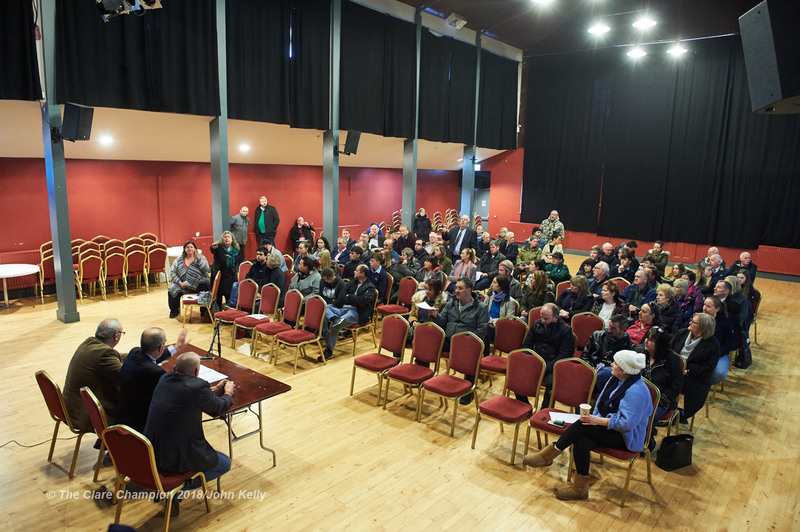 A general view of a public meeting, in the Pavilion, Lisdoonvarna, to discuss the opening of a direct provision centre at the King Thomond Hotel on March 5th. Photograph by John Kelly. 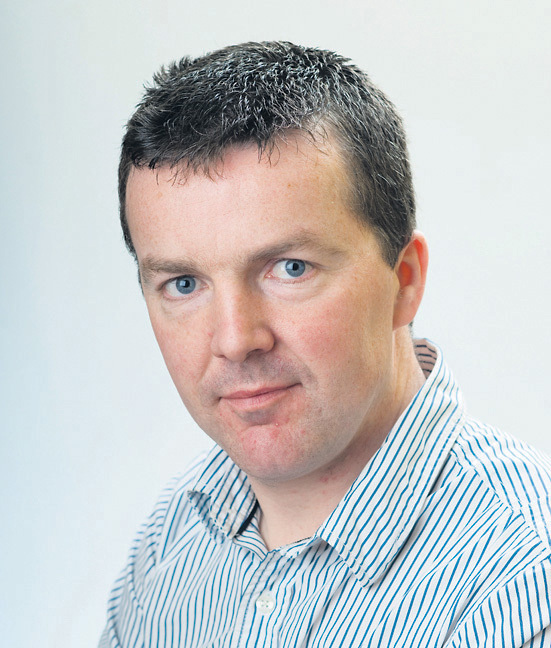 West Clare native Peter O'Connell has worked for The Clare Champion for 12 years and covers everything from sport, especially GAA, news, features and has been even known to branch into the fashion scene on occasion.